Description: Annie Marlow has been through the worst. Rocked by tragedy, she heads to the one place that makes her happy: Oceanside in the Pacific Northwest, the destination of many family vacations when Annie was a teenager. My take: Cottage By The Sea is Debbie Macomber’s new stand alone novel. Following a tragedy Annie Marlow is faced with starting her life over. She returns to the little beach town where her family vacationed when she was young. It is a way to connect to everything she has missed from her past and soon becomes a way to create her future. With the help of new friends, all with issues of their own, that’s exactly what she does. The novel deals with some serious themes such as loss of loved ones, domestic abuse, and hoarding. Macomber conveys the emotions without getting too heavy which is what I’ve come to expect from her. My take: After less-than-happy childhoods, Suzette and Hyland met and fell in love when they were young adults. When Suzette agreed to marry Hyland she made it clear she didn’t want to have children. He went along with that, a bit reluctantly. She became a surgeon and he, an architect. Fifteen years later something changed and he really wanted them to have a child. He even suggested a surrogate. Suzette thought about it and her love for Hyland was the ultimate reason for saying yes. Things didn’t go as planned though. What followed was the story of people yearning for something missing in their lives. It’s the story of mothers and the hard choices and decisions made throughout life. It’s about the fallout from those decisions and how one deals with it. I think The Nearness of You is a novel readers will relate to on one level or another. The short chapters, told from various viewpoints, made it almost impossible to stop reading. Recommended to fans of the author and contemporary fiction. My take: When Julia Padden meets her across-the-hall neighbor Cain Maddox she’s shocked by his rudeness. It’s the Christmas season after all. The naturally bubbly and upbeat Julia is just not used to such treatment. He’s her polar opposite. Never one to back down from a challenge, and on the advice of her best friend, she decides to “kill him” with kindness. Julia also has a project that is tied into a social media job interview that is down to between her and one other applicant. She must create a blog for a couple of weeks. The person who has the most hits and followers will get the job. So she decides to blog about her kindness project. This has far-reaching repercussions and some unexpected results. 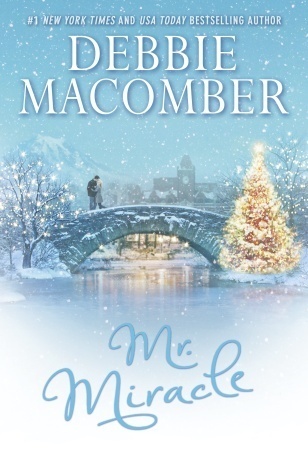 Twelve Days of Christmas is quintessential Debbie Macomber. There’s a bit of conflict, romance, drama, humor and sweetness. I enjoyed it and think her fans will as well. 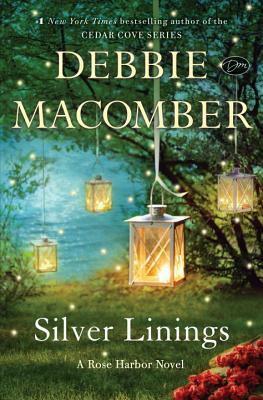 Description: Set in Cedar Cove’s charming Rose Harbor Inn, Debbie Macomber’s captivating new novel follows innkeeper Jo Marie and two new guests as they seek healing and comfort, revealing that every cloud has a silver lining, even when it seems difficult to find. My take: Silver Linings is the fourth book in the Rose Harbor Inn series. That said, it can stand alone because author Debbie Macomber gives just enough back story to bring a new reader up to speed. At first I wasn’t sure I’d enjoy the Katie and Coco storylines but that feeling didn’t last long as I was caught up in their dramas. The possibility of understanding and forgiveness ran through as each hoped for her own silver lining. I appreciated that the road to that silver lining was not a smooth, easy one. Jo Marie and Mark’s story was more complicated but just as satisfying. Once again, as in the previous novel, we are left with a cliff-hanger. Normally, that’s not very satisfying but Macomber left me hopeful. I can’t wait to read the next book in the Rose Harbor Inn series. Recommended to fans of the author and women’s fiction. My take: When Sophie Anderson discovers her husband of sixteen years plans to ask for a divorce she takes up a friend’s offer for her and the two kids to rent a rambling Nantucket cottage for the summer. So she’s completely caught off guard when Trevor Black and his young son arrive at the same time to rent the same cottage. They decide to make the best of the situation and the two families form an unexpected bond. 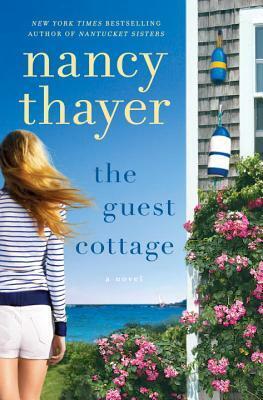 The Guest Cottage is a perfect beach book. It’s about family and love (on a few levels), finding new freedom and moving forward. Nancy Thayer’s descriptive prose made me feel like I was relaxing on one of the Nantucket beaches enjoying a wonderful holiday. Toss this book in the beach bag this summer. You’ll be glad you did!